You will earn 1,079 Reward Points. Earn 1 reward point for every 1 dollar spent. 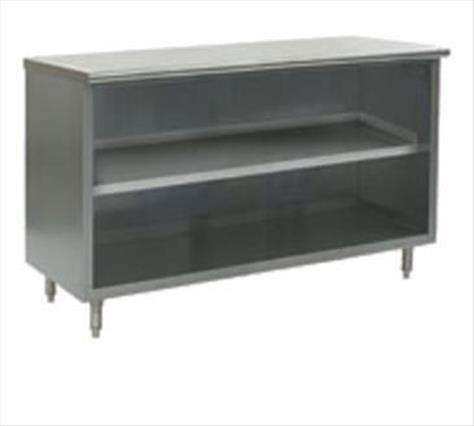 The Eagle PC1848SE-CS-X Spec-Master Plate Cabinet is an NSF, sturdy, stainless steel cabinet (FLYER). It features an all-welded design with a 1-1/2" diameter rolled front edge and square turndown edges on the rear and sides. It has a reinforced, 14/304 stainless steel top with satin finish, an open front, center shelf, and adjustable 1"metal bullet feet. It measures 48"W x 18"D x 34-1/2"H.